Research Corporation Technologies (RCT) owns the ClearColi expression system. 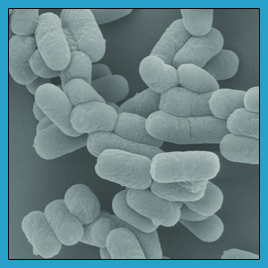 Lucigen has a ClearColi license from RCT for the ClearColi Expression Technology to produce and sell competent cells. Lucigen offers a limited use license allowing users to evaluate the ClearColi system for non commercial purposes. For commercial entities and non-profit entities engaged in commercial activities the limited use license automatically terminates at the end of twelve months and users are required to take a ClearColi commercial license. Please call Chad Souvignier at 520-748-4462 or email us using the Contact Form. After the evaluation period Research Corporation Technologies (RCT) offers various commercial ClearColi licensing options ranging from licenses that allow for the use of the ClearColi Expression Technology to perform commercial research or make and sell products. For commercial research licenses there are license issue fees and annual fees due which on an annual basis range from $10,000 to over $100,000. Commercial licenses to produce and sell product may also have royalties and milestones associated with the commercialization and sales of products. There are also royalty free options. For additional information on ClearColi licensing terms please call Chad Souvignier at 520-748-4462 or email us using the Contact Form. Academic users may use the ClearColi system under the limited use license for non-commercial use, no further license agreement is required. However, the academic laboratory may not transfer ClearColi materials without RCT’s prior written permission. If a transfer is desired, RCT can work with you to accommodate this.